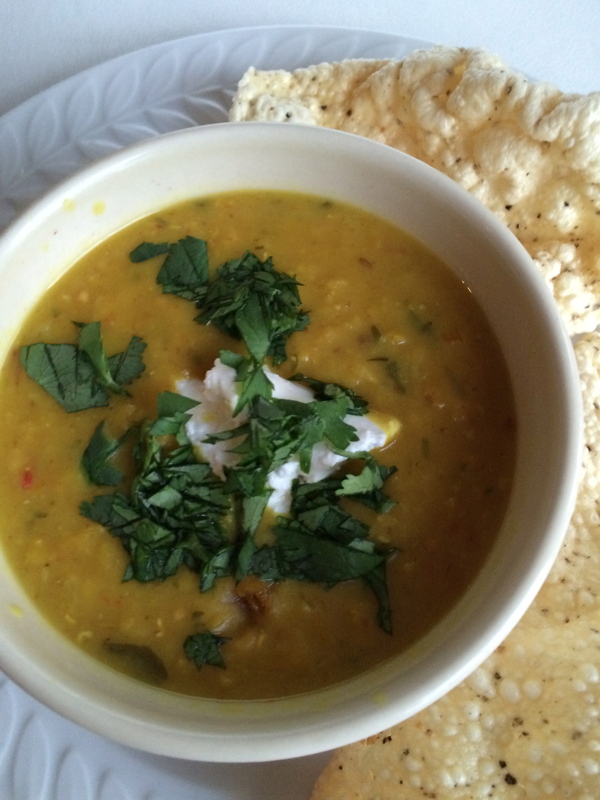 A wonderful soup from Madhur Jaffrey, the queen of Indian food. 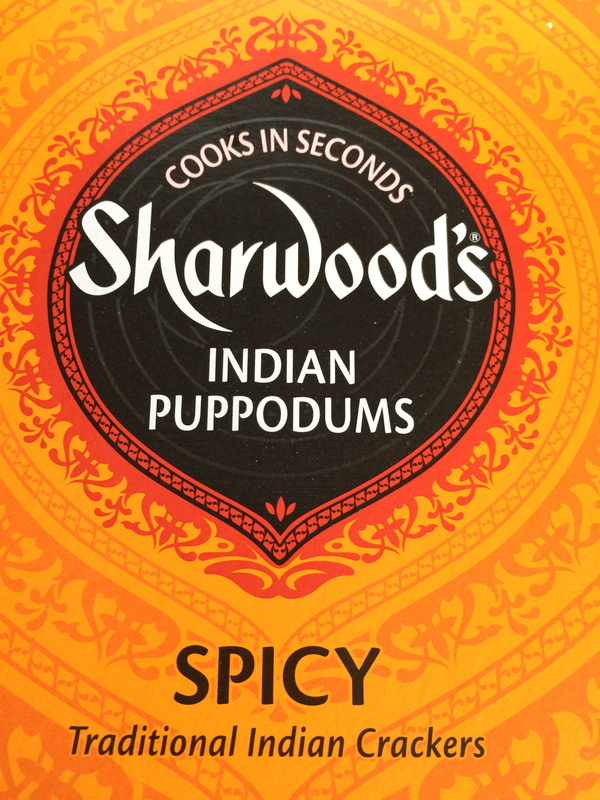 I made a half recipe and served it with puppodums, if you can find them. You could also serve it with naan, and mix a little tamarind or mango chutney with yogurt for a garnish. This recipe was in Saveur. Cook 5 T. butter Aleppo pepper, cumin, coriander, mustard, chiles, and tomato in an 8″ skillet over high heat until fragrant. Set sauce aside. Heat remaining butter in a 6 quart saucepan over medium high heat. Add ginger, garlic, onion and jalapeño and cook until browned, about 15 minutes. Add flour, coriander, cumin and turmeric, cook until smooth, about 2 minutes. Add stock and lentils, boil. Skim any scum that surfaces. Reduce heat to medium low and cook, covered, until tender, about 45 minutes. Add cilantro, puree, if you like. Add coconut milk, lemon juice, salt and pepper. Serve garnished with sauce, yogurt and a little fresh cilantro.